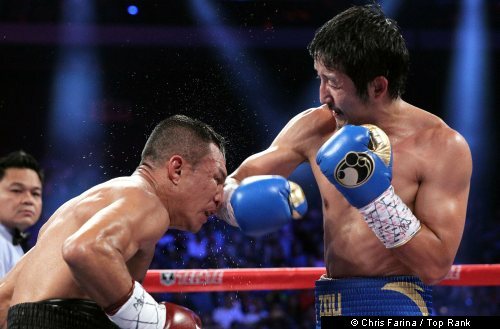 July 19, 2014, Macau, China --- Two-time Chinese Olympic gold medalist Zou Shiming, (L) wins the WBO international flyweight title with a 10-round unanimous decision over 2-time title challenger Luis De La Rosa of Columbia at The Venetian Macao Resort in Macau, China Saturday night. 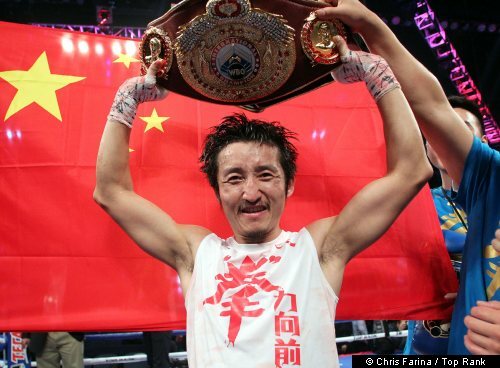 Scores were 99-91, 99-91 and 97-93 in favor of the Chinese boxing hero. 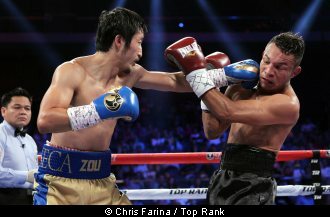 Photos: Chris Farina - Top Rank.